California band ‘Eagles of Death Metal,' whose fans were massacred by ISIS in Paris, will play in Tel Aviv on September 5. Eagles of Death Metal, the California band whose fans were massacred by Islamic State (ISIS) terrorists in a Paris concert in November, will perform in Israel. The band, which last performed in Israel in July of last year, is slated to play Tel Aviv’s Hangar 11 as part of a world tour on September 5, according to news reports. A concert by Eagles of Death Metal at the Bataclan theater in Paris was attacked by ISIS terrorists as part of a series of coordinated attacks. 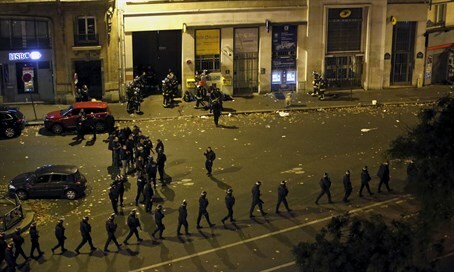 A total of 130 people were murdered in the series of six attacks across the French capital on November 13. Ninety people were murdered at the Bataclan alone. The Californian rock band escaped the massacre by hiding in a dressing room backstage. They returned to the Bataclan three months later to finish the performance. The survivors of the massacre were all invited and many of them attended, amid tight security. He said his comments were "unfounded and baseless," and that he had been struggling with dealing with the trauma of the massacre. "I've been dealing with non-stop nightmares and struggling through therapy to make sense of this tragedy and insanity," he said. "I haven't been myself since November 13. I realize there's no excuse for my words, but for what it's worth: I am sincerely sorry for having hurt, disrespected or accused anyone."